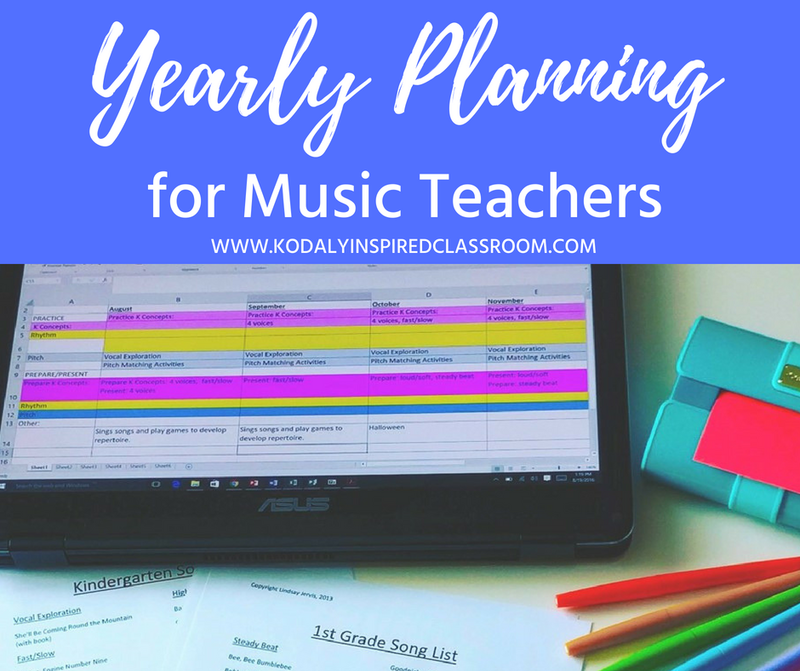 My first year teaching (during my pre-Kodaly training days) I planned for each day and and no real long term vision for my classes or from year to year. During my Level 2 training, Lisa Simmelink really helped me understand concept and long range or yearly planning. One of our assignments was to map out concepts for the whole year for one grade level. 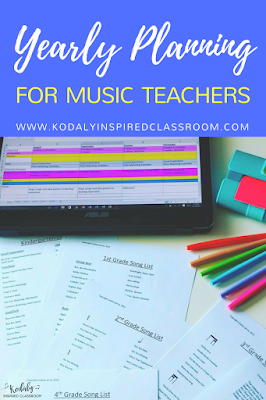 Every music teacher wants to get their year started off on the right track, reviewing where they left off with each grade level and getting new students caught up to speed. From there we hope to stay on track progressing through the musical concepts we have planned for that grade level. In addition to that, we are thinking about our music programs and performances and how that all fits in to our yearly calendar and planning. 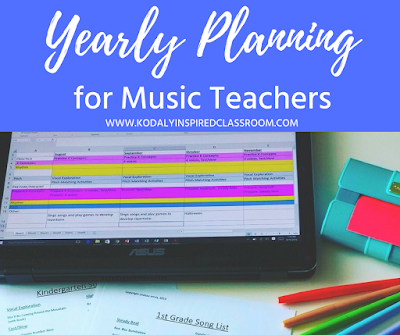 Having a plan in place helps to guide my planning for the whole year. So let's get started with yearly plans. When I do long term planning, I like to start with yearly plans and break it down by month, just looking at concepts. What do I want my students to be practicing by that month? Will I be preparing any new concepts? Will I be presenting a concept? Make sure that you are always working both melodically and rhythmically in every lesson. Go month by month for each grade level deciding about how long you will spend preparing/practicing each concept. Remember to be flexible! 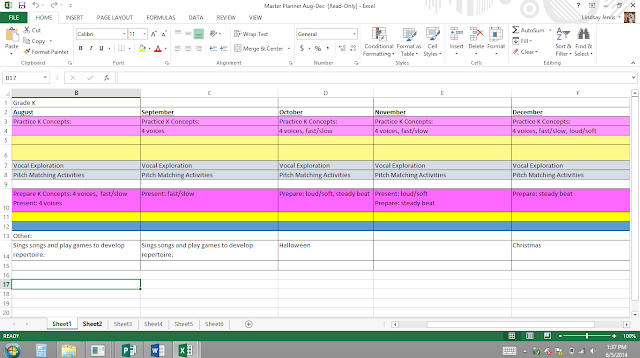 Here is a sample of what my long range planning looks like. This is for kindergarten from August through December. 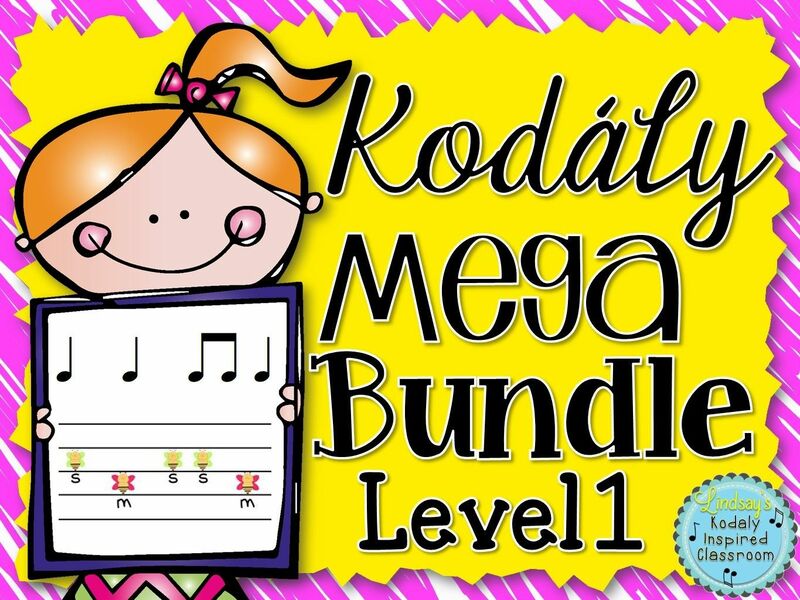 I make different colors for different concepts (pink for Kindergarten concepts, yellow for rhythmic concepts, blue for melodic concepts, and the older grades also include scale and meter). I separate by month across the top and the light shades of each color represent concepts that are in the Practice stage (known concepts), while the darker shades represent the concepts that are being prepared and presented. 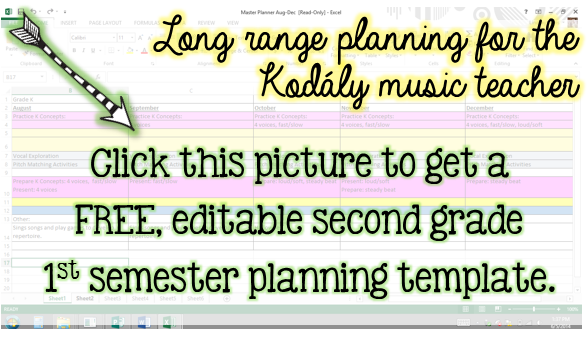 These templates are samples from my planning sets on TPT which includes both yearly plans and song lists by concept for each grade level. 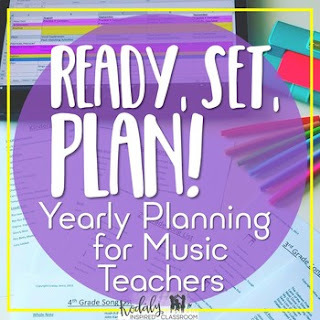 Getting from Yearly Plans to Lesson Plans Once you have the concepts you want to teach for each month and each grade level, make song lists for each grade level. 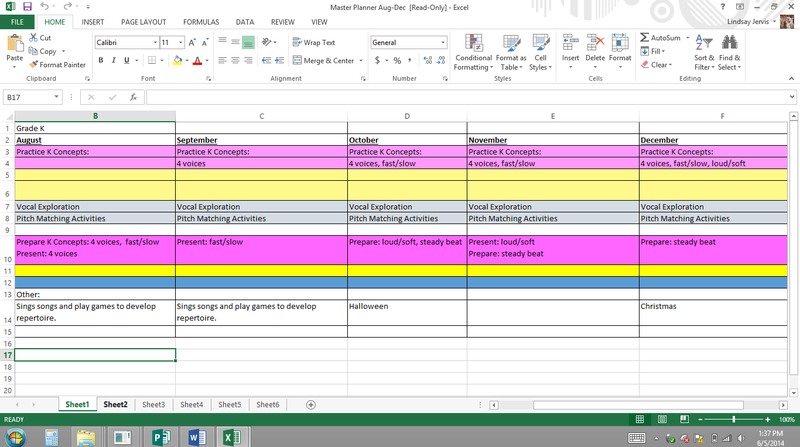 Make a list of all the concepts you included on your Monthly/Yearly plans for that grade level (I’ve started one for you for each grade level, but you may need to adjust it to fit your needs). Under each concept heading make a list of all the songs you plan to use while working on that concept. That way when I are look ahead to my third grade planning in September I can see I want to be practicing re and tiri-tiri and preparing ti-tiri, then I would go to my third grade song list and find a song list for ti-tiri to find songs under that concept to weave my lesson plan together. 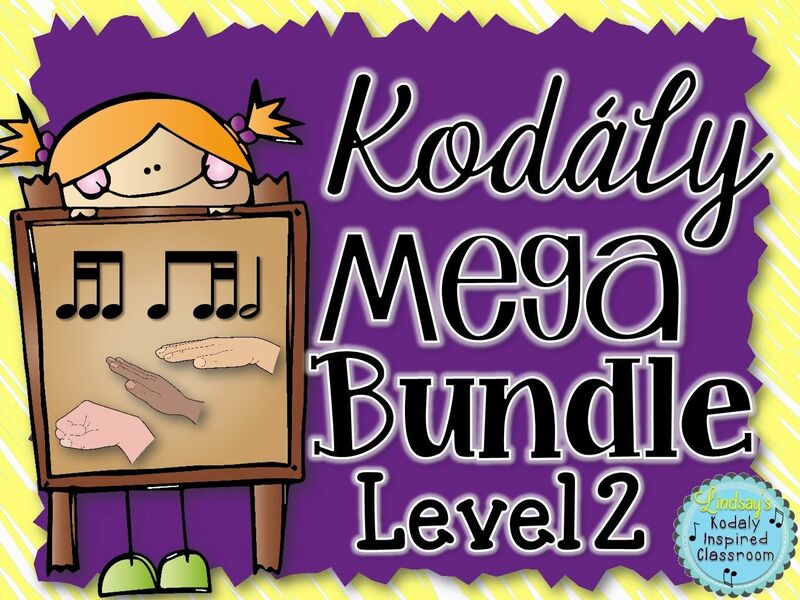 For the little kids I like to have a ton of songs/games/activities in each lesson (probably 7-10) in a 30 minute lesson. 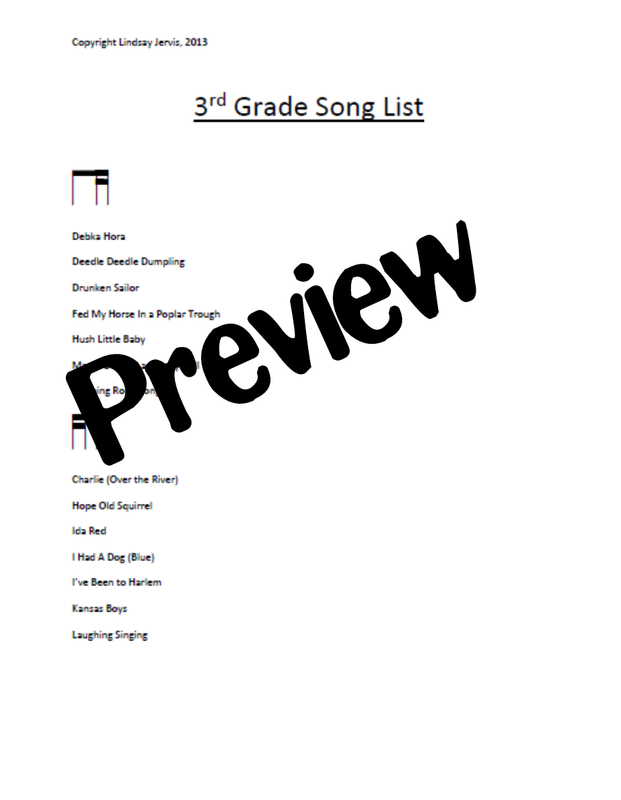 For the older kids, I choose less song materials per lesson, but go deeper with the songs. Plus by then, their songs are a bit longer. Do you have different strategies for long term planning? I'd love to hear them in the comments below! Yes, mine are the same way, but I pretty much have performances around the same time each year for each grade! I really enjoyed this Poolside Planning Party!!! You all had some WONDERFUL ideas!! I'm so glad you enjoyed the blog hop! 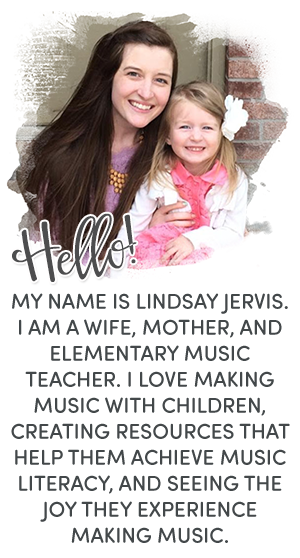 I loved seeing what all the other teachers blogged about and getting new ideas for planning too! I will say this. My school and parents LOVE BIG PROGRAMS. So I have really not stretched out away from the big published ones like the John Jacobson musicals, especially with my younger grades. With 4th and 5th I do select things that are more in the way of what we are working on in class already (as far as concepts). It all really just depends on the group of kids. A few years ago I had a really good group of 5th grades and I selected several 2 part octavos for them that had either rhythmic or melodic concepts that I could isolate. This past year I did a mostly recorder program for my fourth graders because they are a very boy heavy group and enjoy playing more than singing. I didn't have them until they were in 2nd grade so I kind of have to roll with it since I wasn't there to lay that foundation. That being said, I do still see value in doing those canned musicals (even if not from a literacy standpoint). Music programs are what I remember most about my childhood music class, and my kids LOVE them. If they are that powerful of a musical experience for them (even if they cannot actually read the music), I feel that they still hold value. Perhaps that love of music will encourage them to continue with music later in life. I think sometimes there is an aesthetic experience that they get from participating in a mini musical that they might not get with the folk songs we sing in class. This year as our school adds full time kindergarten and I get to go from seeing them once a month to three times a week, I am excited to see what that will mean for my students' musical growth over the time I get to see them. I am hoping to do an "informance" of sorts with my kindergarten where parents get to come and in and see what it is we are doing and learning in music class as opposed to a program. I am going to see how that goes over with just that one grade level. I will probably continue the same types of programs for 1-3 (canned) and 4-5 (concept based) as I have been doing in the past and see where it takes me. Also, if you didn't get to it, you might read Amy Abbott's blog post on programing. 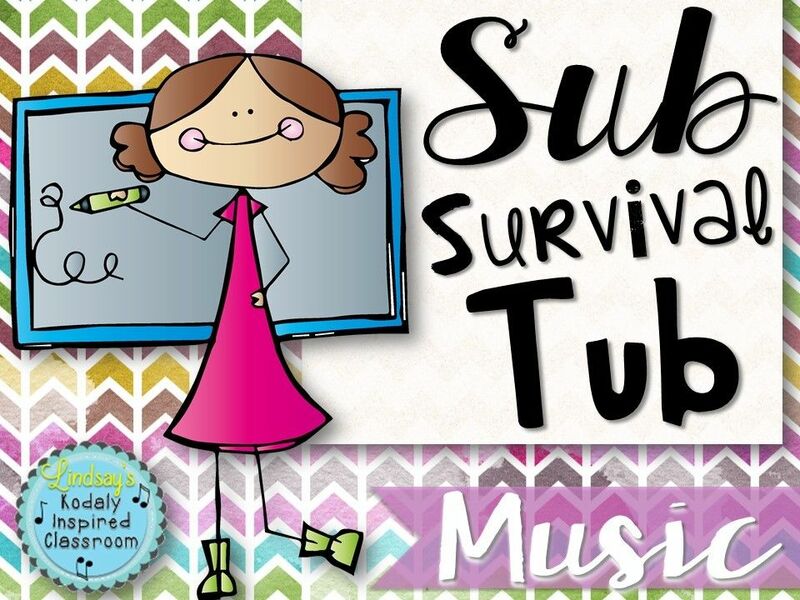 If you are looking for more ways to get away from the published programs and more towards building programs around the folk songs you are doing in class, you might check out Aileen Miracle's TPT store. She has a couple ready made programs that are based on folk songs. You're absolutely correct in how you worded your response - I completely remember every single program from my elementary music years, and I do fully believe it's all about the enjoyment of experiencing music! I think the value, even if not from a literacy standpoint, as you said, is a great point. I really appreciate your advice!! I, also, try to keep my grade level programs around the same time of year, BUT I cannot WAIT to steal the idea of doing a Recorder Program - I had a Recorder Chorus (like an honor choir, but for those who wanted to continue playing past our recorder unit in class), and they performed a few songs on a program, but I'd never thought of basing a complete program on the unit - that is PERFECT! Thank you, again, for posting for others to learn from! Thank you SO MUCH for 'hosting' this blog hop! It was WONDERFUL!!!! I shared the url with the music staff! Great posts!!! Thank you so much, Debbie! Glad you enjoyed it! Hope you got lots of great ideas and templates along the way! You probably just had to scroll down a bit more! They should all work properly! How often do you see your classes during the week? I struggle with planning sometimes because I see my classes once every sixth class day, not counting Fridays. Sometimes I don't see a class again for a week and a half. AND if there are any schedule interruptions, I have to wait another cycle of classes to see them again. It's frustrating, and sometimes I don't get through alot of curriculum throughout the year.